A 5 person hot tub, perfect for enjoying the experience together, the Earth offers exceptional build quality and comes with extra thick insulation providing you with economy, low running costs and comfort. The circular shape really appeals to our clients that want a hot tub to share, great for parties and fun, interaction and the family. The Earth is the only round hot tub in the MyLine range from Wellis, very popular for our customers that want something a bit different. Ideal for hospitality and holiday lets, the Earth from Wellis comes with the best quality, design and construction in the price range. 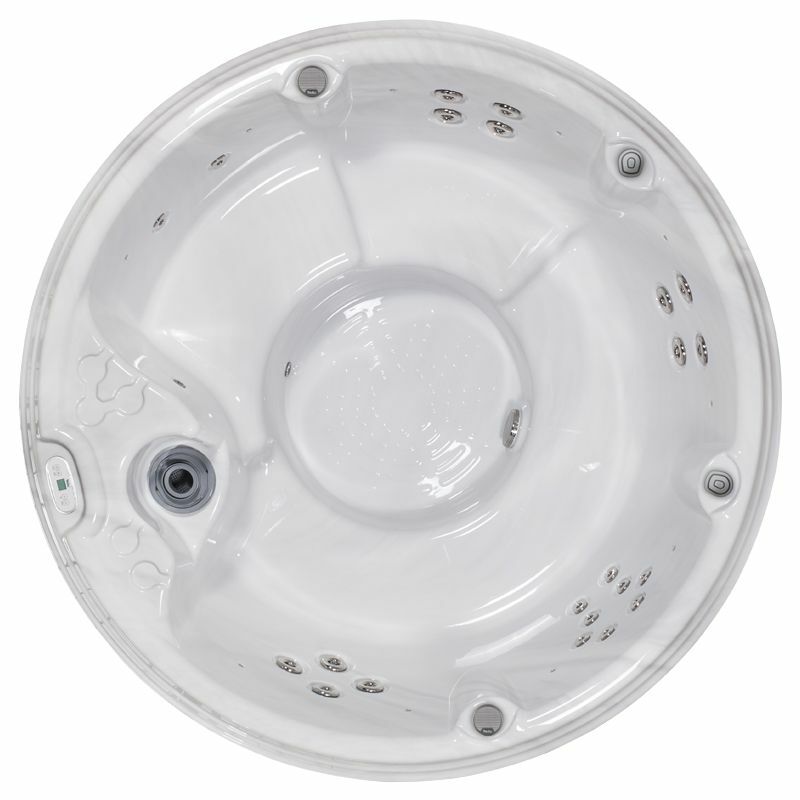 Available to buy in five colours, the Earth hot tub also has optional extras as well as a built in sound system. For more information about buying the Earth in the Wellis range, please contact Bay Spas and see other hot tubs in the MyLine range that offer value for money and peace of mind purchasing.